The Fond du Lac Children’s Chorale is a community children’s chorus comprised of fourth through eighth grade students, from Fond du Lac and the surrounding communities, interested in performing and studying high-quality choral music. Founded in 1997 as a project of the Fond du Lac Arts Council, it is a resident ensemble of the Thelma Sadoff Center for the Arts in Fond du Lac, Wis. The Chorale performs two major concerts each season, in addition to smaller appearances at other venues throughout the year. The Chorale’s repertoire provides an enjoyable and challenging musical experience, while expanding children’s learning horizons in music fundamentals, vocal technique and rehearsal discipline. Musicianship and artistry are taught in rehearsals through a performance-based music education process that aims to inspire appreciation and enjoyment of music, while developing personal and artistic excellence, and enriching our community. Auditions are held at various times throughout the year and by appointment. Who should audition for the Children’s Chorale? In short, any child who loves to sing! We celebrate and affirm the artistry of children. The Children’s Chorale is an organization where children are encouraged to express themselves. Members have the opportunity to build relationships with peers who are serious about music making. The rehearsal environment is creative, nurturing, educational, enjoyable, and supportive. Our members regularly move into leadership roles in their chosen high schools, successfully performing in their choirs, bands, on stage, as soloists, and in ensembles. If you know of a young person who should be singing with us, help us make the connection! Contact us for more information. Check the calendar for audition dates! David Hein, Artistic Director of the Fond du Lac Children’s Chorale, has held this position since 2009. 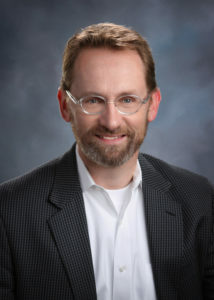 At Marian University, he is Assistant Professor of Music in the College of Arts, Science and Letters. He directs the Marian Chamber Singers, coaches the university vocal jazz ensemble, teaches private voice lessons, and other music courses. He is also the Organist and Chancel Choir Accompanist at The United Methodist Church of Whitefish Bay. At THELMA, David is a part of the creative team that developed On Stage@THELMA, a theatrical arts experience for upper elementary and middle school students. David earned a bachelor of music in music education and church music at St. Olaf College and a master of music in choral conducting at Michigan State University. He has choral music arrangements published with Neil A. Kjos Music Publishers and Choristers Guild. Past positions include teaching choral music at the high school level as well as full-time church music ministry. Patricia Siekierke, Accompanist, was the Middle School/High School choral director at Horace Mann High School in North Fond du Lac for the past 27 years. Prior to North Fond du Lac, she taught in Green Lake for 6-1/2 years as the elementary general music teacher. She is an organist at her church in Oshkosh and is the accompanist for South Shore Chorale in Fond du Lac. She is an active accompanist and recently retired from her teaching position in North Fond du Lac. For more information about the Chorale or to join the Chorale, contact Michael at michael@thelmaarts.org. Sing On! Keep the Music Going! 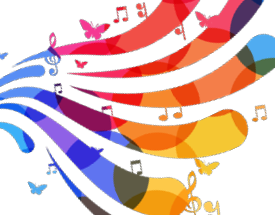 Sponsor a song and support the Children’s Chorale by “Sponsoring a Song” as an act of honor, memorial, or other significance. Choose a song to sponsor and we will include your special message into this year’s spring program. Choral music costs between $2.25 – $3.00 per copy, per singer. Costs reach $120 for both choirs. A gesture from you will help defray the cost of sheet music. Call 920-921-5410 to choose a song and submit a donation of $60 for a one choir song or $120 for a song sung by both choirs. With a Hey, Ho, Nonny, Nonny, No! Also this year, acknowledge a Chorale singer in this year’s concert program! For $50, insert a special congratulations message into this year’s spring program for your Chorale student! Call us at 920-921-5410 or stop in at the front desk and submit your message. Submission deadline is April 26! Programs will be finalized this date. Thank you!